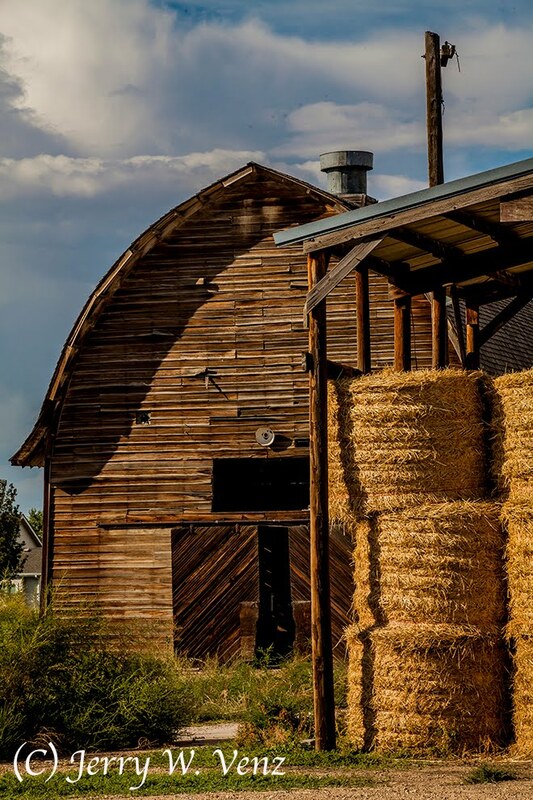 Within two miles of our house, here in Meridian, Idaho, there were four barns. 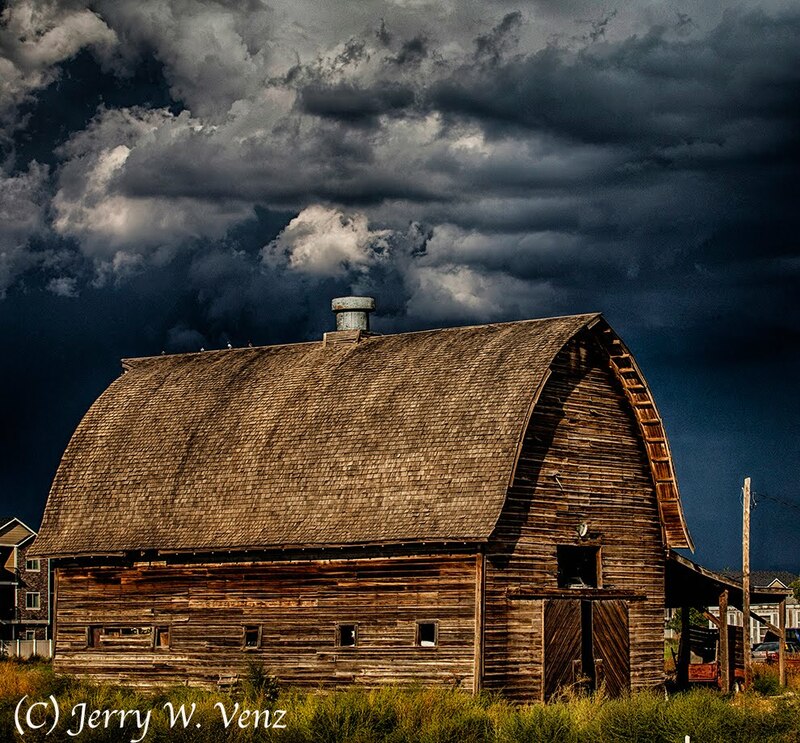 It’s remarkable that there were any barns here as Meridian is the fastest growing city in Idaho. Housing developments surrounded these barns and more developments are underway. Now there are only two barns left. One of those barns was featured in Part 1 of this blog. Here in Part 2, I’ll feature the other remaining barn—my favorite because it has an arched roof. I think it’s the most graceful type of shingled barn roof designs; it’s also a rather rare type of barn—there aren’t many still standing. I started photography on this beauty in 2013 when I saw the for sale sign go up on the property. I chose this as the best side of this barn because there’s an awning running the full length on the other side filled with a lot of junk. 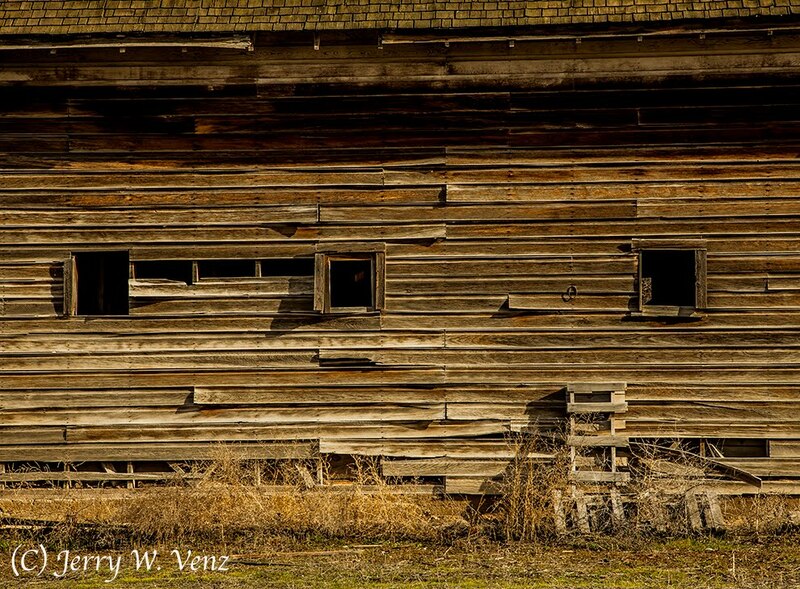 Besides I always prefer the clean side so I can see any windows on the long side of a barn. This barn’s long side faces West and it’s front faces South, so there was only one time of the day when I could get any shadows—I wanted a shadow to delineate the graceful curve of the roof line. This was done on a stormy September evening, as the clouds cleared behind me, about two hours before sunset. My artistic processing was done in NIK, HDR Efex Pro 2, single image, tone mapping. I used the vignetted preset and then adjusted to my taste. Here’s a larger view showing the farm house…. This was also done in NIK, HDR Efex Pro 2. 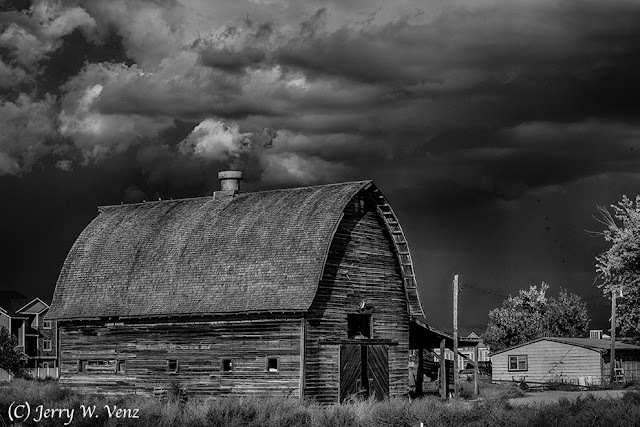 I used the B&W Art preset and adjusted the blacks and contrast to get deeper shadows and detail in the clouds. Then going to the front of the barn…. This is one of my favorite views not only because of the nice juxtaposition of a foreground element with the front of the barn behind, but it shows how this would have looked as a working farm. Sadly, these would be the last bales of hay to be stored here—love those round bales! Then there are the details…. For nice barn wood detail I came back at a time when I would have good crossing light specifically for my targeted subject. This was in January, so it turned out to be 3:00pm when I got the shadows I wanted for the west facing side of the barn. In Part 3 of this series I revisit this great barn in the winder—Let it snow!